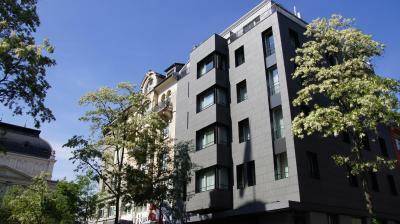 Lock in a great price for Hotel Opera Zürich – rated 8.7 by recent guests! Amazing hotel! We stayed in the smart room and it was awesome. Loved the different technology in the room. We opted not to have our room cleaned and they left a bag with fresh towels at the door. Excellent location, comfortable rooms, and very friendly staff. Buffet breakfast was extensive and offered a variety of high-quality options. Overall, an excellent place to stay for a business traveler. The front desk staff were extremely helpful, friendly, & accommodating. Particularly on the afternoons of 12-14.March & mornings of 13-15.March. The location near the trains and trams, the customer service at the hotel was excellent! We had a great balcony and breakfast offered plenty of variety. Considering how expensive Zurich is, the hotel is fairly priced. 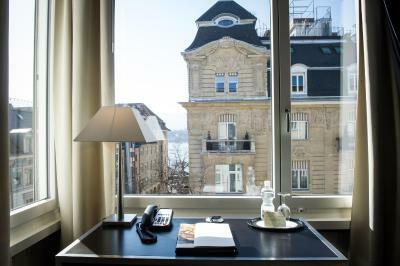 Hotel Opera Zürich This rating is a reflection of how the property compares to the industry standard when it comes to price, facilities and services available. It's based on a self-evaluation by the property. Use this rating to help choose your stay! Located in the luxurious Seefeld district opposite the famous Opera House and only a few steps away from the lake, the Hotel Opera welcomes you in its private atmosphere with free Wi-Fi throughout. The famous shopping area Bahnhofstrasse as well as financial institutions, sights and fine dining areas are just a 10-minute walk away. The rooms come with all modern amenities including a multimedia TV system with free WiFi and free LAN. Select from various international newspapers, enjoy the large breakfast buffet, and make free use of the business corner. The Restaurant Opera, one of the best fish restaurants in town, also offers you a variety of seasonal menus, Swiss as well as international dishes. The restaurant is located in the Opera hotel's sister hotel on the other side of the street. Seefeld is a great choice for travelers interested in restaurants, culture and lakes. 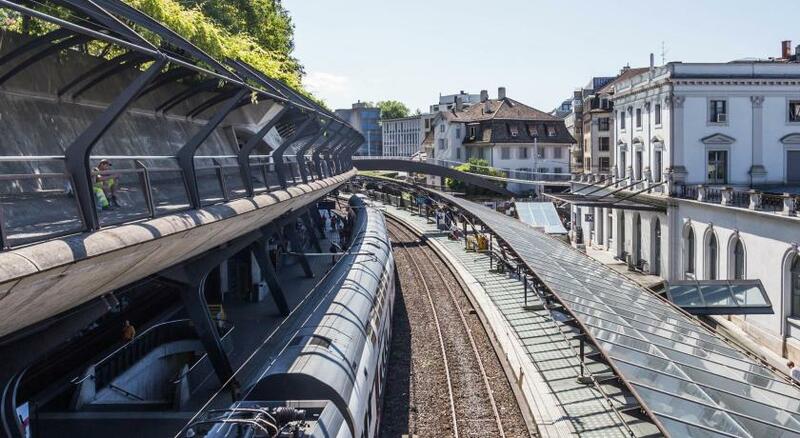 When would you like to stay at Hotel Opera Zürich? Air-conditioned room with free WiFi and free wired internet access. Large, air-conditioned room with a seating area, a well-lit workspace and free WiFi and wired internet access. Spacious, bright and air-conditioned room with a 4.6 foot-wide bed and free WiFi and wired internet access. This double room features a mini-bar, satellite TV and soundproofing. This room features a multi-functional bed, electric kettle and air conditioning. 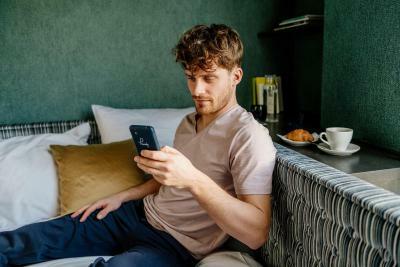 Guests can control via tablet or smartphone all features, such as curtains, room service, as well as the color-changing lighting system for individual ambiance. Free WiFi, multimedia TV system, laptop safe, bathroom with bathtub or shower are also featured. 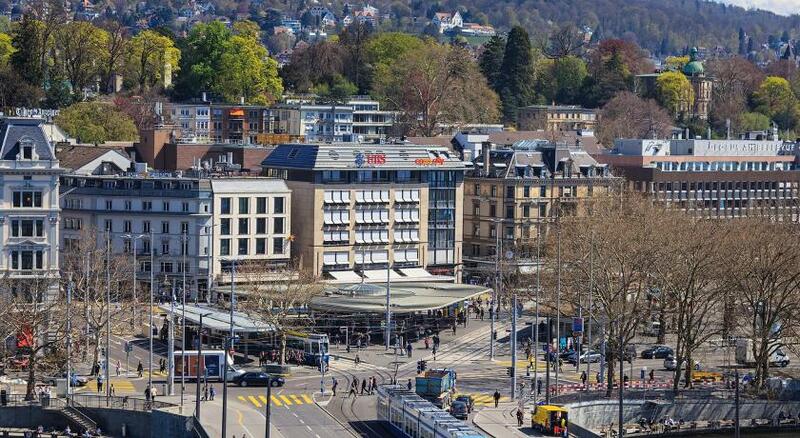 Anyone who loves staying amidst the hustle and bustle of Zurich is at the right address at the Hotel Opera. The four-star establishment boasts a prime location, and combines ambience-steeped guest rooms with a wealth of creativity and personalised service. After an eventful day, you can allow yourself to be carried off to the land of dreams in the wonderful beds at the Hotel Opera. Each of the 58 rooms has its own individual charm, offering tailor-made furnishings and the highest level of comfort. The amenities include a spacious, well-lit workspace, free Wi-Fi, a modern multimedia TV system, a safe and air conditioning. The hotel has been privately owned for some 80 years and is currently managed by the third generation. It continually undergoes careful renovation and is adapted in line with the latest standards while still retaining its classic architecture, authentic flair and special charm. Hotel surroundings – This neighborhood is a great choice for travelers interested in restaurants, culture and lakes – Check location Excellent location – show map Guests loved walking around the neighborhood! 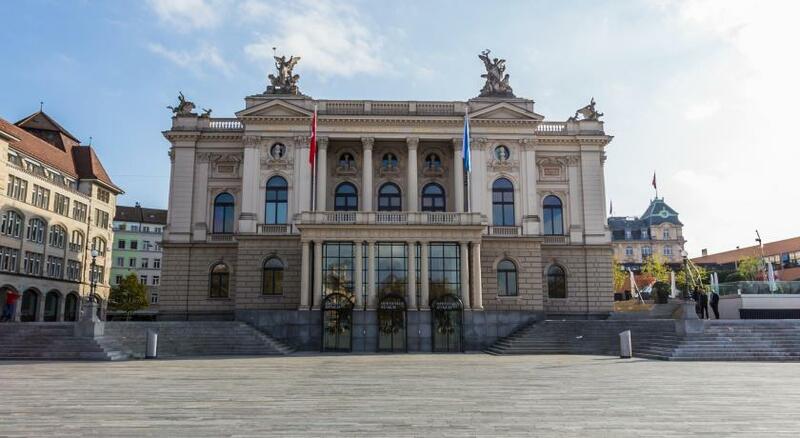 House Rules Hotel Opera Zürich takes special requests – add in the next step! Hotel Opera Zürich accepts these cards and reserves the right to temporarily hold an amount prior to arrival. The hotel is not handicap accessible. The location was very apt and next to the river.Also the staff was very friendly.I had my birthday and there was a cake with a card in the room that was very thoughtful.Also the property was very clean. Check-in was slightly chaotic; A table at the bottom of the stairs but not much more. Breakfast was in a different building. Room was clean and comfortable. Breakfast was very good. The staff and the location. The pillows were extremely thin! This may seem like a minor issue but it was rather annoying after the first night. Overall the hotel matched my expectations. It was clean, conveniently located and the staff did their best to satisfy all requests. I would be happy to stay there again in the future. The noise from cars and trucks as well as the enterance. Staff are so friendly, polite and informative especially Florance and Daniel. The lobby is currently undergoing renovations, so there was very little space at the reception. However, we did not hear any noise from the construction, which was great. This is just a minor inconvenience and the new lobby and entrance will be open from May 2019. Renovation work started very early 0730! Staff could not have been more helpful. You can even buy train tickets from reception.